His name is Chucky and he wants to play. On the small screen this time. 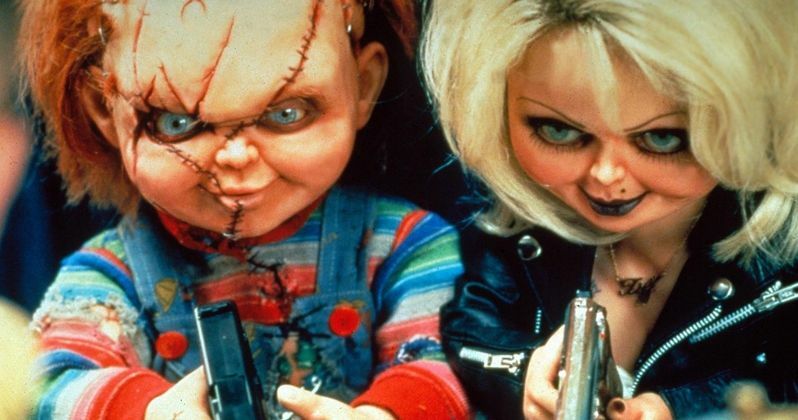 Last June, Child's Play creator Don Mancini revealed his plans to bring the killer doll franchise to the world of TV and now, the series has a home. SyFy has placed an order for a Child's Play TV Show, with Mancini on board as a creator, writer and executive producer. This means the upcoming Child's Play remake, which Mancini is not involved in, will have some serious competition. David Kirschner (Hocus Pocus) and Nick Antosca (The Act) will work alongside Don Mancini as executive producers. At this time, there is no word on casting. However, Brad Dourif, who has voiced Chucky in every single movie (except the upcoming remake) would almost certainly be on board. Mancini had this to say about the series in a statement. This also may help to heal some old wounds for those who were upset that SyFy canceled Channel Zero. Both Don Mancini and Nick Antosca worked on that show together, so this does make for something of a reunion. Antosca had this to say in a statement. SyFy also picked up two other horror-based pilots. Cipher, which comes from Danny McBride, David Gordon Green, Jody Hill, with Allison Miller (Strange Angel) writing and executive producing. The show is "video-game-centric" and follows a boy and his father caught up in the artificial intelligence war. (Future) Cult Classic, meanwhile, comes from SNL creator Lorne Michaels and is a dark comedy set 18 years in the future that centers on a killer obsessed with 90s slasher movies terrorizing teens. MGM is currently in production on a Child's Play movie remake, which is set to hit theaters later this year and comes from director Lars Klevberg. Meanwhile, the rights to the franchise have been split up, meaning that Don Mancini can continue making movies that aren't released theatrically, as well as TV projects such as this, centered on Chucky that take place within the already established continuity. It also means that we're going to have two versions of the same franchise going at once. The show will pick up after the events of 2017's Cult of Chucky. For now, there is no word on when the show could enter production, nor is it clear how many episodes the first season would run for. We'll be sure to keep you posted as more details on the series are made available. This news comes to us directly from SyFy.